This is a video Master Class with world-class Celtic guitarist Quinn Bachand. Band-in-a-Box® users are familiar with Quinn's playing on many of the RealTracks, including the Celtic guitar, Bodhran, Irish Bouzouki, and banjo. Quinn has not only mastered Celtic guitar, he did so at a very young age, and is also an expert on jazz and gypsy guitar. He is a great teacher, and knows all the theory and terminology to describe what he is teaching. These videos are highly recommended. There are 3 volumes, each one hour long. Quinn cover techniques, chord theory, voicings and walks you through 17 "must-know" tunes. This is for the intermediate-advanced guitarist, and covers Celtic guitar styles (some folk and old-time covered as well). 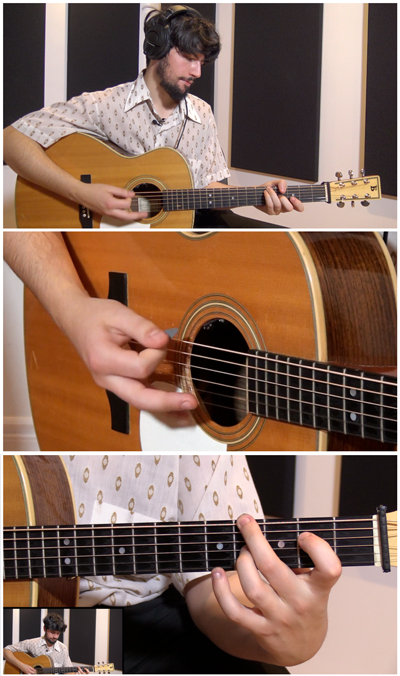 Watch the overview video for the Celtic Guitar Master Class Series by Quinn Bachand. 3 Volumes Available - only $19 each! BUY The Celtic Guitar Master Class for Mac and DOWNLOAD NOW!